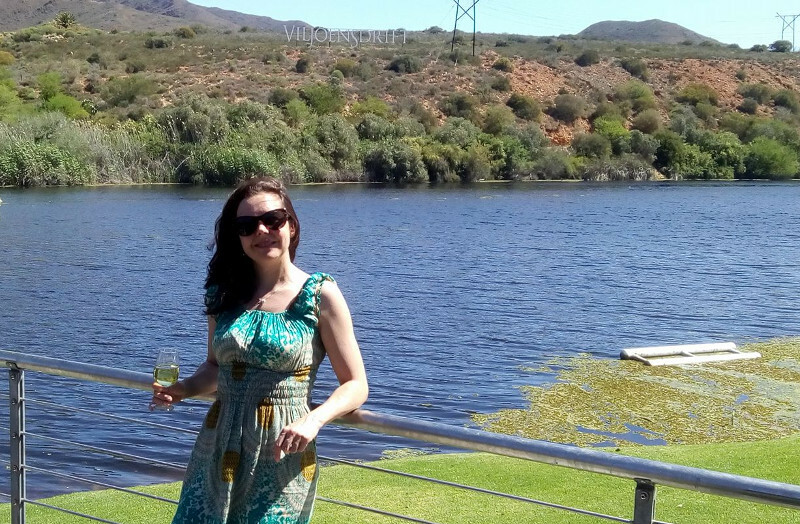 Our wine road trip in the Breede River Valley – where we went and what we bought. 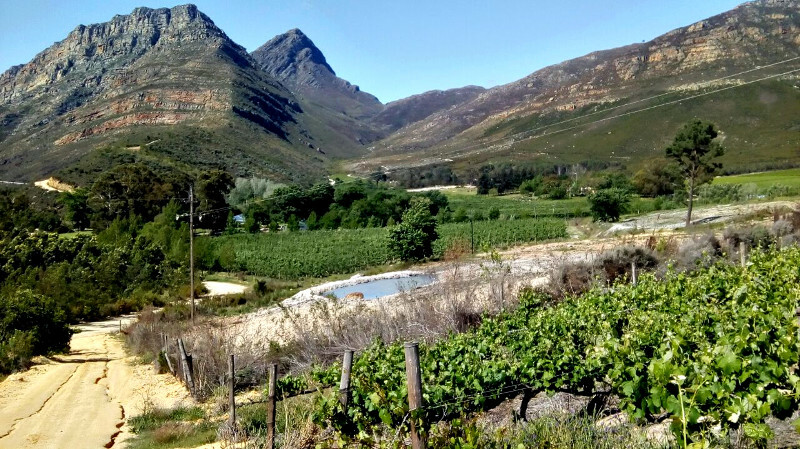 The Breede River Valley region is known for its breathtaking scenery, hospitable people and of course wonderful wines. We were there in October for the Wine on the River festival (which I wrote about here) and decided to take a few days off to do a wine road trip. Most of the wine farms have a Robertson Wine Valley map available which is quite handy. We decided to go to the wine farms with wines that’s not readily available in the large supermarkets. 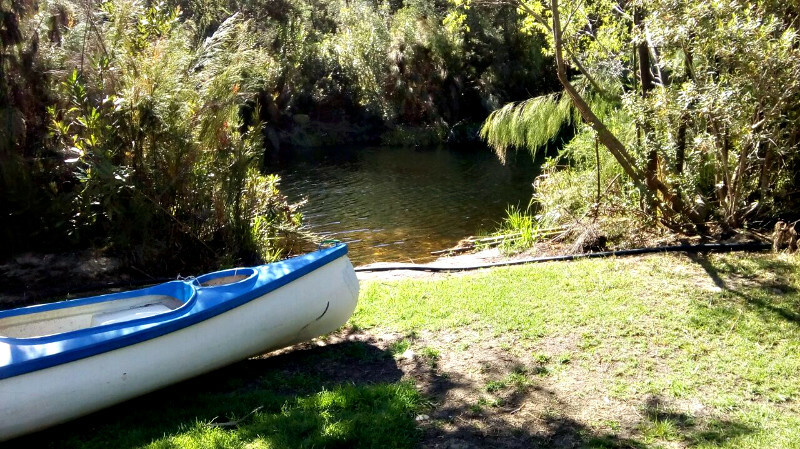 We started at Viljoensdrift on the banks of the Breede River. This is one of the most beautiful wine farms in the region for me. We bought some of their River Grandeur Chardonnay 2016 (R70) and Anchor Drift Dry Red (R40). 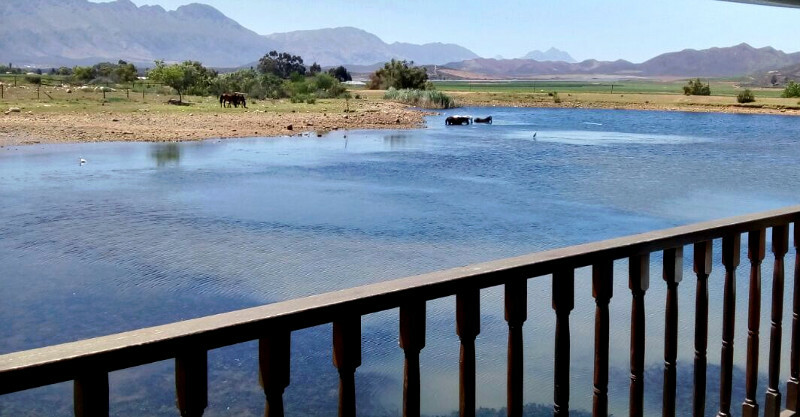 Across the road from Viljoensdrift is Excelsior Wine Estate where we tasted wine as we watched the horses cool down in the farm’s dam. We bought some of the “Evanthius” Cabernet Sauvignon (Veritas Bronze/Michelangelo Platinum – R135 ) – one of the pricier wines that we would buy on this trip, but well worth it. Our other purchases included “Caitlyn” Rose (R45), Excelsior Chardonnay 2017 (Veritas Bonze/Michelangelo Gold – R52.50) and Excelsior Cabernet Sauvignon 2016 (Veritas Bronze – R55). The “Purebred” Shiraz Merlot 2015 (Michelangelo Gold – R40) was one of the best value wines that we bought on the trip. Up the road is Zandvliet Wine Estate with a beautiful tasting room and lounge. Unfortunately they were expecting a tour group so we couldn’t sit in their tasting room. However they accommodated us with a private gin and wine tasting in the back garden. The Clemengold gin (Michelangelo Silver – R350) was so good that we bought 2 bottles. We popped in at Ashton Winery afterwards but did not get the friendliest welcome (very unusual for this part of the world), so just tasted one or two wines. We bought some Ashton Chardonnay 2017 (Veritas Bronze/Michelangelo Silver – R40). 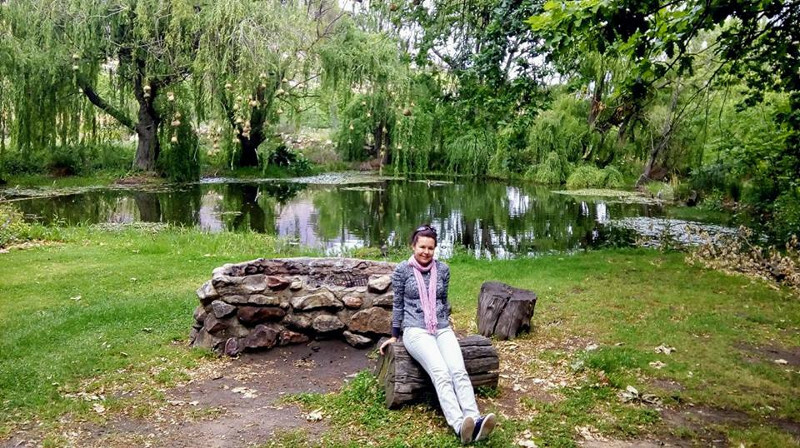 Then it was on to Rietvallei Wine Estate – one of the oldest family-owned wine estates in South Africa. Their JMB Chardonnay 2017 (R175) was also one of our more expensive purchases but we do love our wooded chardonnays. The Rietvallei Sauvignon Blanc 2017 (Veritas Double Gold/Michelangelo Silver – R75) is one of the most impressive white wines that we bought on this trip – at a very impressive price. Adrienne loved their”Dark Cin” Cinsaut 2016 (Michelangelo Gold – R95) and bought a couple of bottles. We went back to Viljoensdrift for lunch and ordered a platter. 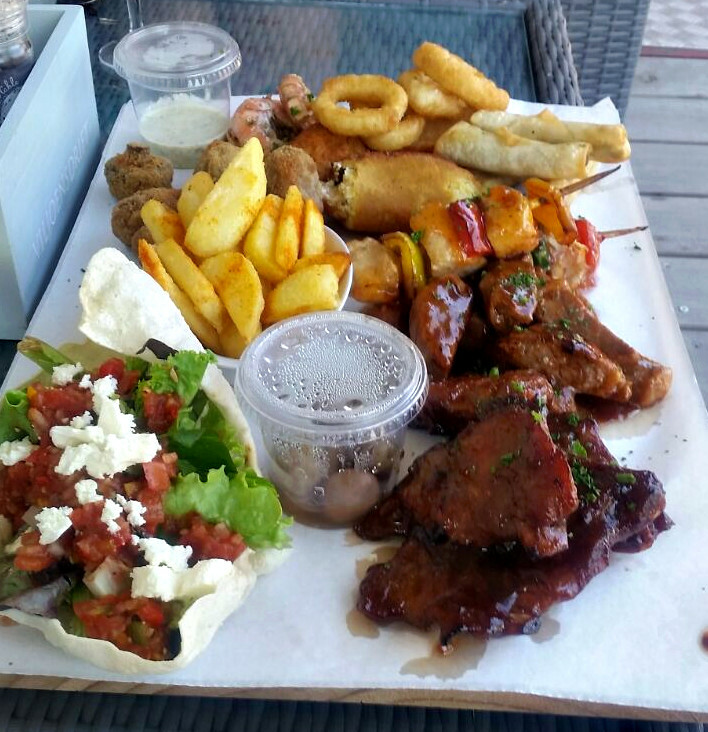 For R180 we got a huge platter with calamari, prawns, chilli poppers, steak, ribs, mushrooms, spring rolls, salsa and olives. We spent a laidback couple of hours on the sunny deck, enjoying the delicious food and more of their River Grandeur Chardonnay. Our first stop for the day was Langverwacht Winery on the Stormsvlei Road just outside Bonnievale. 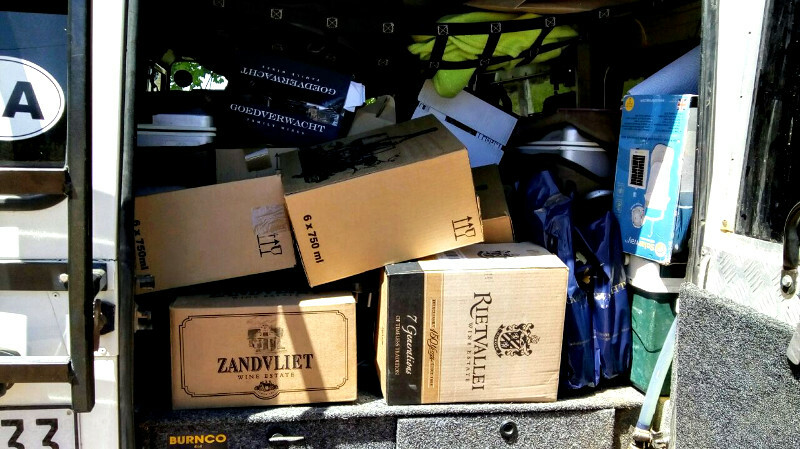 Their wines are such good value for money, we had to remind ourselves that we had limited space in the car. We ended up buying their Chenin Blanc 2017 (Veritas Bronze /Michelangelo Gold – R36), Chardonnay 2017 (Veritas Silver – R40), Shiraz 2016 (Veritas Bronze – R43) , 4 Barrel Shiraz 2016 ( Veritas Silver – R78) and Ruby Cabernet 2016 (Veritas Bronze – R38). Goedverwacht Winery has alway been a favourite of ours since we ended up there randomly some 15 years ago on a previous road trip. “Great Expectations” Shiraz Rose 2017 (Michelangelo Silver – R50) was one of the first Shiraz Rose’s that I tasted and it has remained a favourite. We also bought the “Great Expectations” Sauvignon Blanc 2017 (Veritas Silver – R60), “Great Expectations” Shiraz 2016 (Veritas Silver / Michelangelo Silver – R75) and “Great Expectations” Triangle 2015 (Veritas Bronze – R75). 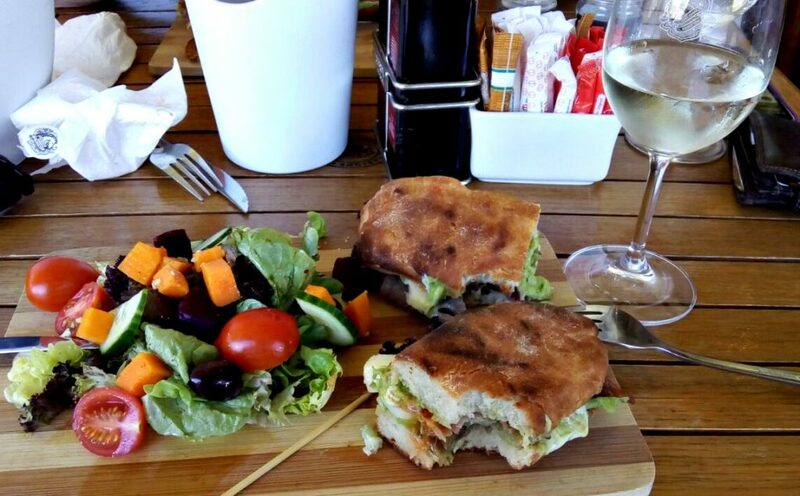 Wine tasting is hungry work and we took a break to have lunch at the deli/restaurant at Excelsior Wine Estate . It’s called Graze@Excelsior and has divine “roosterbrood” sandwiches. We always enjoy Bon Courage‘s Jacques Bruere MCC bubbly. For some reason we do not often drink their other wines, so we decided to make this our last stop for the day. The have a beautiful tasting room and once again we were the only people there. It was too hot for me to taste red wine so I stuck with whites. Adrienne will drink red wine on the hottest day of the year so he happily started tasting the reds. We bought some of the “Le Terroir” Chardonnay 2016 (Veritas Silver), “Inkara” Shiraz 2014 (Veritas Silver) and “The Pepper Tree” Shiraz 2015 (Veritas Silver). Our Land Rover already looked a bit over packed and we still had another 2 days left in Rawsonville. We decided to call it a day. We woke up Wednesday to a grey and overcast morning – perfect weather for tasting red wine ! 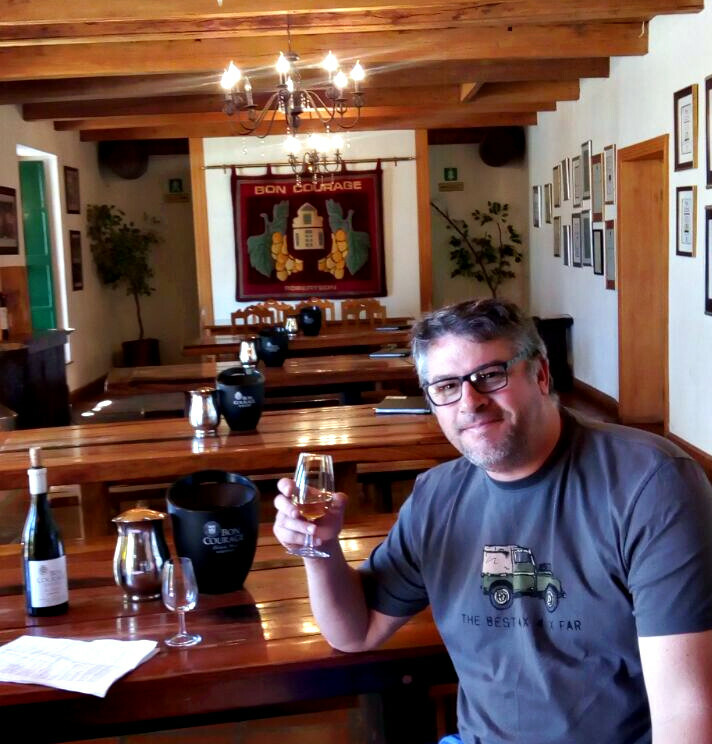 We started making our way to Rawsonville, making a quick stop at Rooiberg Winery tasting room where we bought some of their Cape Vintage Port 2015 and Red Muscadel 2016. Our next stop was Botha Kelder. We bought their Sauvignon Blanc 2017 (Veritas Silver – R38), Cabernet Sauvignon 2015 (Veritas Bronze – R50) and Barrel Fermented Chardonnay 2015 (Veritas Silver – R75). 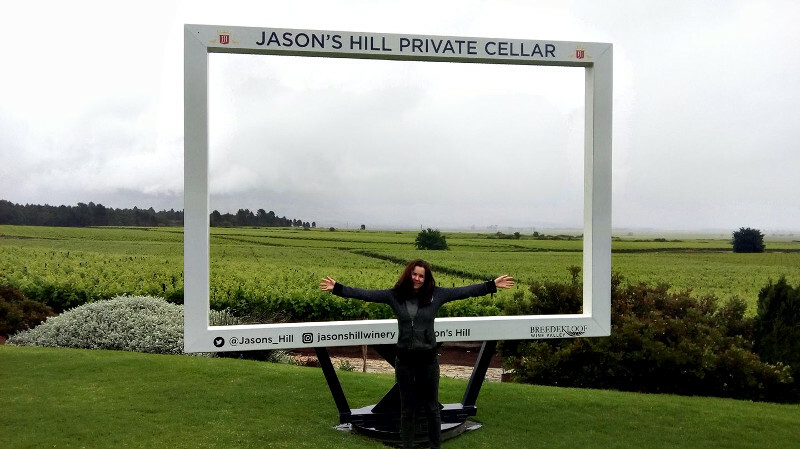 We took the first turnoff into Rawsonville, not really knowing where we were going (this was before we had our map from the Breedekloof Wine Valley tourist board) and ended up at Badsberg Wine Cellar. 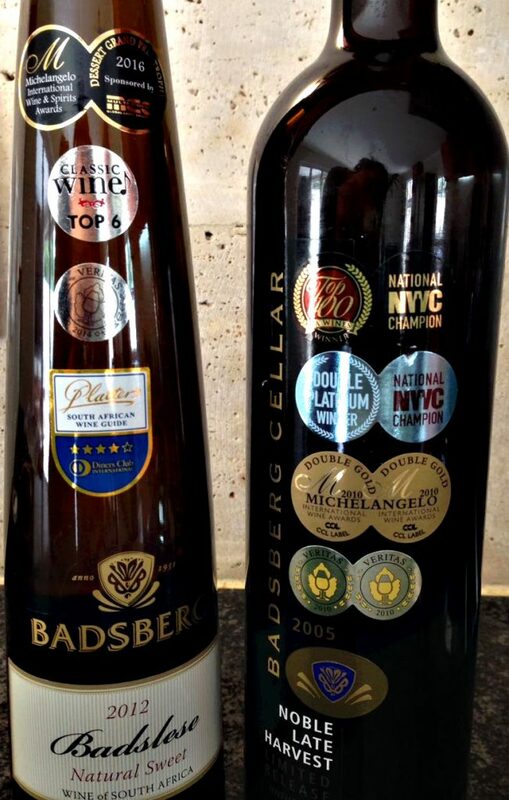 Of course Rawsonville is known for their dessert wines and Badsberg has outstanding wines – look at the labels on these beauties. Of course we had to buy some – they’re both very reasonably priced – Badslese 2012 (R150) and Noble Late Harvest (R180). We also bought some of their Barrel Fermented Chenin Blanc 2015 (Michelangelo 2016 Silver – R110), Chenin Blanc 2017 (Veritas Bronze – R40) and Belladonna 2015 (Veritas Silver – R72). Even though we’re not huge Merlot fans we bought a couple of bottles of their Merlot 2015 (Veritas Silver – R45) as it was a nice wine at such a good price. We opened a bottle last week and it is was even better than we remembered ! As it was lunch time we started looking for a winery with a restaurant and ended up at Jason’s Hill. A cozy restaurant with a roaring fire was very welcome on this grey and wet afternoon. Adrienne had a venison burger and I had a pulled pork sandwich. 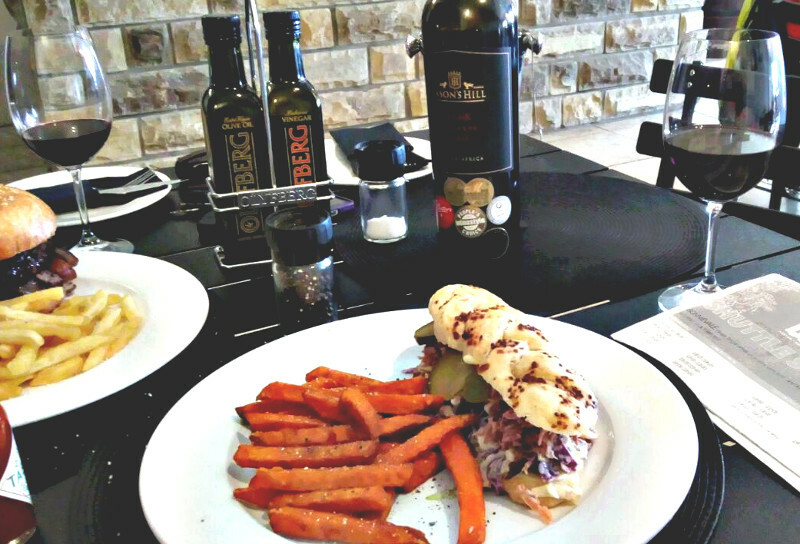 We enjoyed this with their Izak Bordeaux Reserve Blend 2013. 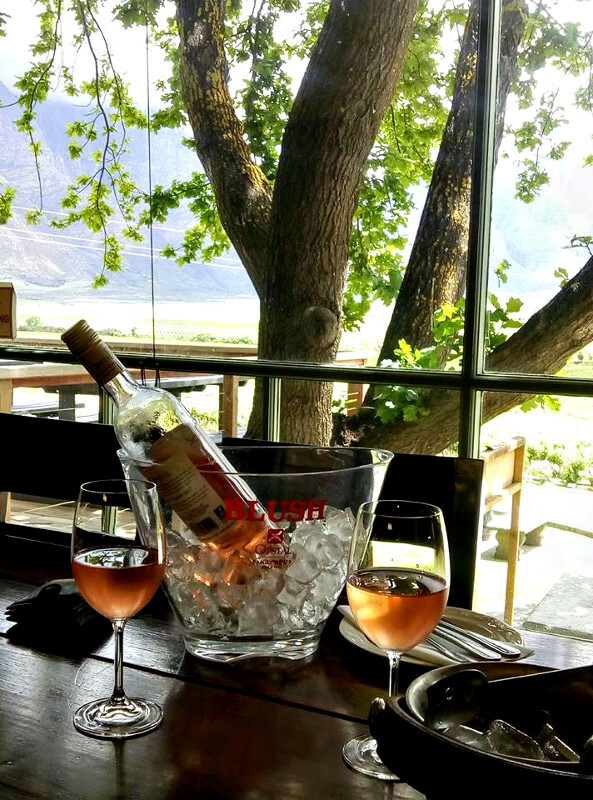 Satisfied that we’ve had a good day’s wine tasting behind us, we made our way to Dwarsberg Trout Hideaway. 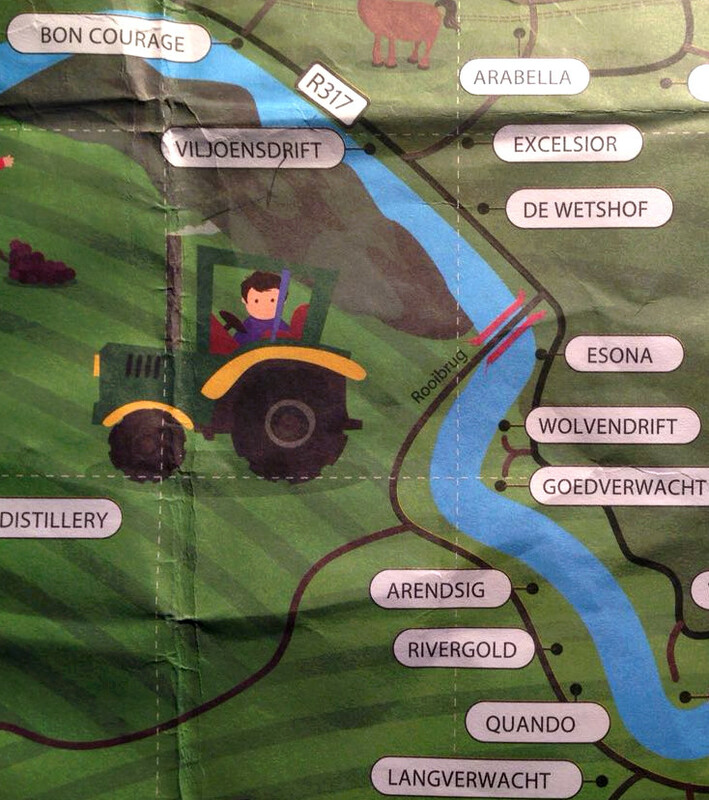 Situated on the banks of the Holsloot river this is a working fruit and wine farm. You can camp or stay in cottages – they are usually booked far in advance over weekends though. We stayed at Tant Sarie‘s cottage. This refurbished cottage was built at the turn of the last century and has the best view of all the cottages. View looking out of the “Tant Sarie” cottage. The next morning was sunny again and we decided to take a break from all the wine tasting and go do some gin and beer tasting at Stofberg Family Vineyards. 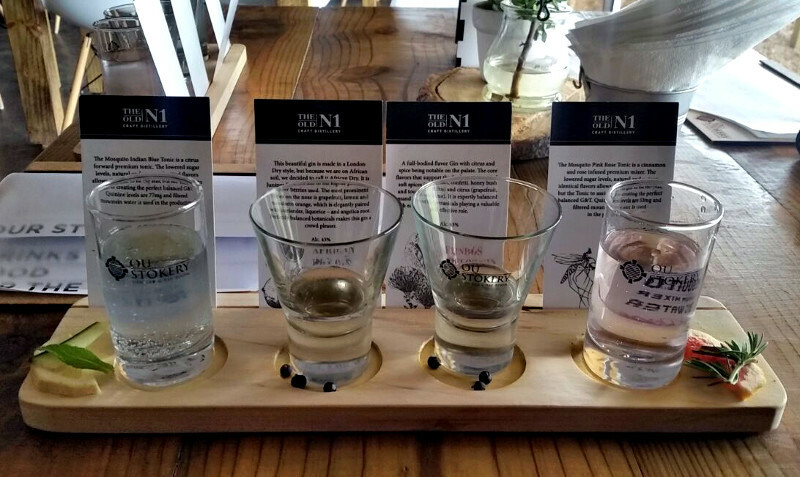 At the Old N1 Craft Distillery you can taste the Old N1 Fijnbos Fields Gin and the Old N1 African Dry Gin. 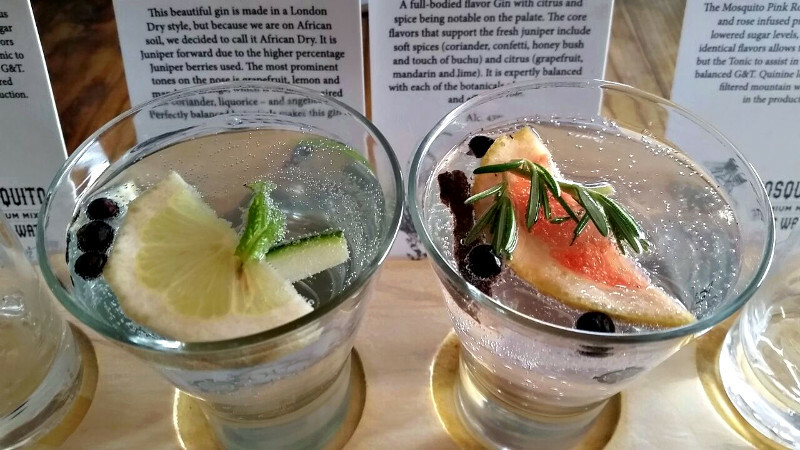 These are served with 2 different types of tonic water. We can’t resist a good gin and bought a bottle of the Old N1 African Dry Gin. We also bought some of the Indian Blue Mosquito tonic water. 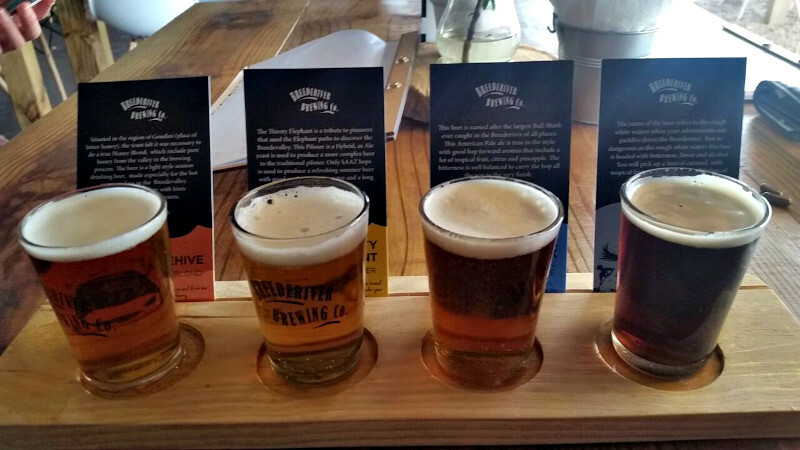 Their beers were quite impressive as well. Fortified we set out for Merwida Winery. It is interesting that they only bottle around 2% of their wine to sell locally. 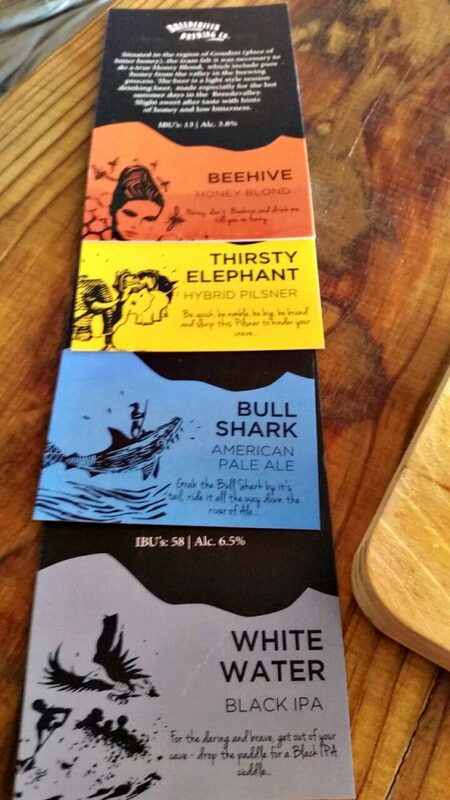 The rest all gets exported and bottled overseas. Our last stop was Opstal Estate where we bought their Blush Syrah Viognier 2017 (R50) and Sixpence Cabernet Sauvignon Merlot 2016 (R45). We had a lovely lunch at their restaurant. 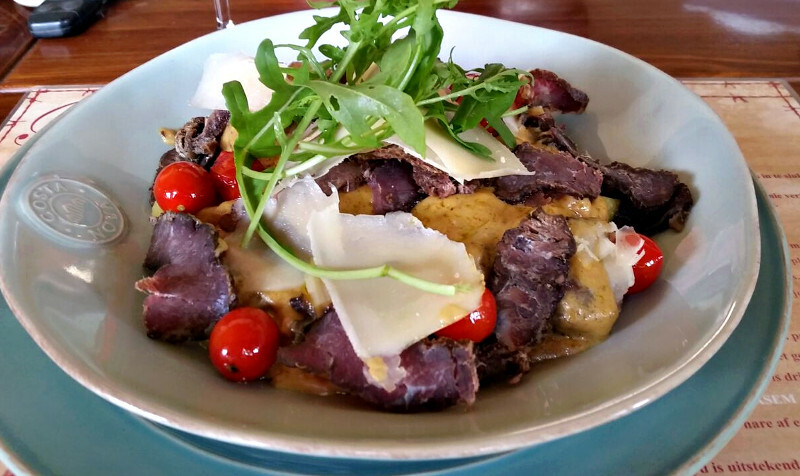 Wine at cellar prices and huge plates of pasta – what more can you ask for ? At this stage we were seriously out of packing space so this was the last stop on our wine road trip. We had a lovely trip and I think that we’ll make this an annual event from now on. This area has such incredible wines at very reasonable prices. It just reminds you again how overpriced Cape Town is. And the fact that the wine farms charge cellar prices in their restaurants gets a big thumbs up from us. 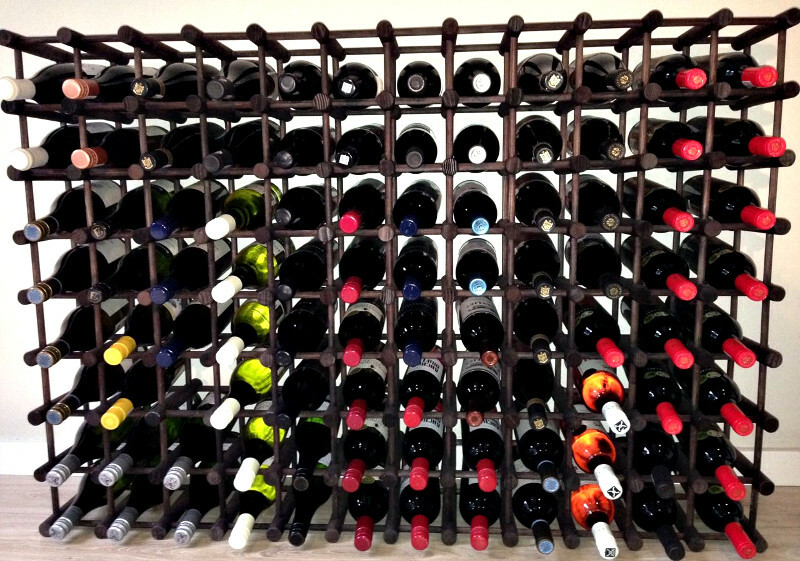 We have filled our wine rack (and cupboards) with some of the best wine (I think) South Africa has to offer. Can’t wait to do it again next year.